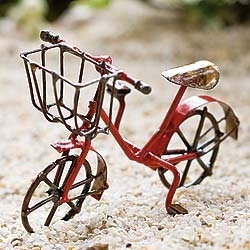 Mini Bicycle - In Vintage Style For Miniature Fairy Gardens. #83370. 2”h x 3.25”L. Choose Your Color From Drop Down Menu.